Ember Services – The founding directors of the customer management consultancy Ember Services have announced a restructure of the Ember business, with the creation of a group structure and Board. The new structure creates a firm foundation for continued growth in Ember’s traditional customer management consulting business (Ember Services), as well as support for accelerated expansion within its specialist public sector team and executive recruitment business, (Mottram Search). The founding directors of Ember, Mike Havard, David Leedham and Paul Mackenzie, all move to the Board of the newly created Ember Group, where they are joined by Steve Tinkler as Group Finance Director, Sue Rix as Head of Marketing, and by Simon Foot as Group Development Director. Simon, who joined Ember Services as Consulting Director in 2013, will lead service innovation across all Ember businesses. He will also work with the founders to identify opportunities to add new businesses or service lines – either through organic growth, partnership or acquisition – that complement the group’s commitment to boost the professionalism and performance of its clients’ customer management activities. “We remain constantly alert to the changing customer management challenges faced by our clients and continue to innovate in order to overcome them.” Simon points to growth in transformational outsourcing, the rapid digitisation of customer contact, and consolidation between customer management and marketing agendas as three trends that are uppermost in its clients’ minds today. Chris Mclduff becomes Managing Director of Ember Services, having held a variety of roles in the business since 2010. Ember Services’ team of consultants, which has grown by 46% in the last year, will be led by three Consulting Directors, James Milner, David Naylor and Dannis Nieuwpoort. 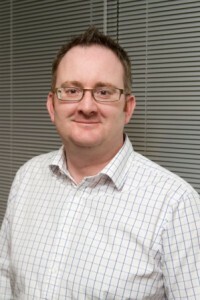 James Milner is a public sector specialist with more than 20 years experience of leading transformation. Before joining Ember in 2012 he was Head of Contracts and Programming for BBC TV Licensing, where he led one of the UK’s biggest transformation outsourcing initiatives. James Milner remains in place leading Ember’s public sector activity and Paul Johnson as Managing Director of Mottram Search. In the past 12 months Ember’s public sector team has completed a major transformation project within Birmingham City Council and worked with several other local government organisations to deliver transformational change programmes. Mottram Search has completed more than 40 executive placements, a 100% increase on a pro-rata basis over its first six months of trading in 2014. Ember is a business services group providing customer management consultancy and executive search services to help private and public sector organisations realise commercial value from their customer activities. It does so by identifying and then exploiting opportunities for cost reduction, revenue enhancement and improved customer value. Ember has an unashamedly financial focus and is committed to achieving tangible business benefits for its clients. Recommendations for change are backed by robust analysis that validates investment decisions and underpins financial gains as well as strong programme leadership. In this way Ember offers its clients a clear business case for innovation, change and transformation and a proven, capable partner to see it through. Be the first to comment on "Ember Services Restructures to focus on Client Growth & Service Expansion"